The seller believes it could be the last "new" E30 M3 in the world. Apparently, 2019 is the year when all the classic, unused BMWs hidden around the world shall rise from the grave. The latest appears to be something really special too – an honest-to-good E30 M3, or rather, the shell of one. 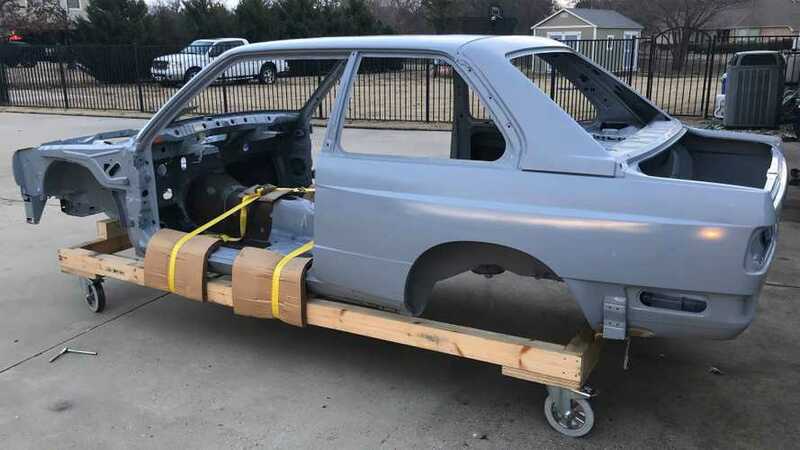 This car appeared on Reddit and is posted at Facebook in the E30 Only Classifieds group for $30,000. That’s right; not only is this shell uncovered, but you can buy it too. The seller is a Facebooker named Paul Marshall, and the car is listed as being in Allen, Texas. We don’t know much about Marshall, but from his posting for the shell, it appears he knows his stuff. According to the description, Marshall kept this M3 shell in storage “in a bubble” for 15 years. He even goes so far as to say it was stored on the original wooden dolly from the factory, but to get it shipped into the United States it needed a new dolly – one conforming to U.S. regulations for importing wood. Talk about specific. 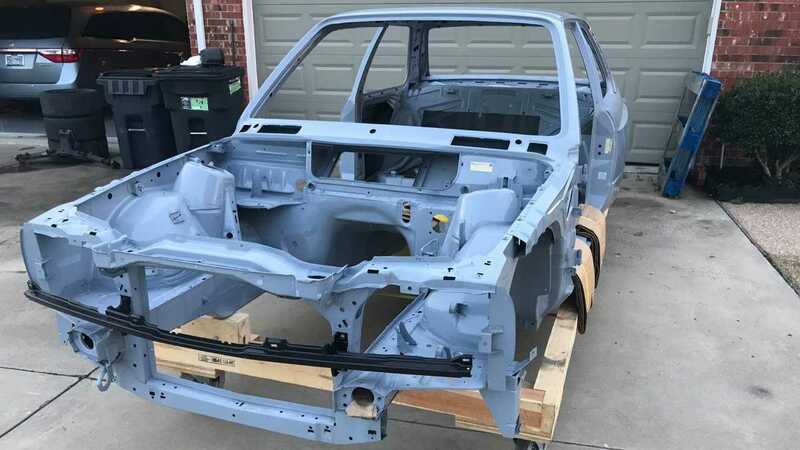 The listing shows the shell from every angle and includes photos of several paper tags with numbers we know nothing about, but we suspect are the stuff E30 connoisseurs dream about. Marshall lists it as an unregistered shell so it doesn’t have a VIN. Basically, it’s a factory-fresh unibody for a car that ended production over 25 years ago. It would certainly take all kinds of work to see this body come to life, and $30,000 is quite a chunk of change for an empty shell. It's also not as if the finished product would be a new M3, because we are just talking about the shell without its own VIN. But still, if all the numbers line up as Marshall says, this is an exceedingly rare find. Given the way E30 M3 prices have skyrocketed in recent years, it’s hard to say just what this shell could be worth. We’ll say this much – Marshall posted this car for sale less than 24 hours ago and that post already has over 1,800 shares. Knowing what we know about the E30 and the people who love it, we suspect this shell will find a new home soon. Be sure to jump over to the Facebook post to see all the photos and additional information on this awesome piece of BMW history.